Stilts seemed the order of the day, buildings on stilts standing tall amid the surrounding forest. I’d been to Lafayette Blue Springs State Park nearly a decade ago, and didn’t recall such a collection of spiffy new buildings. But I’d visited just after it became a state park. 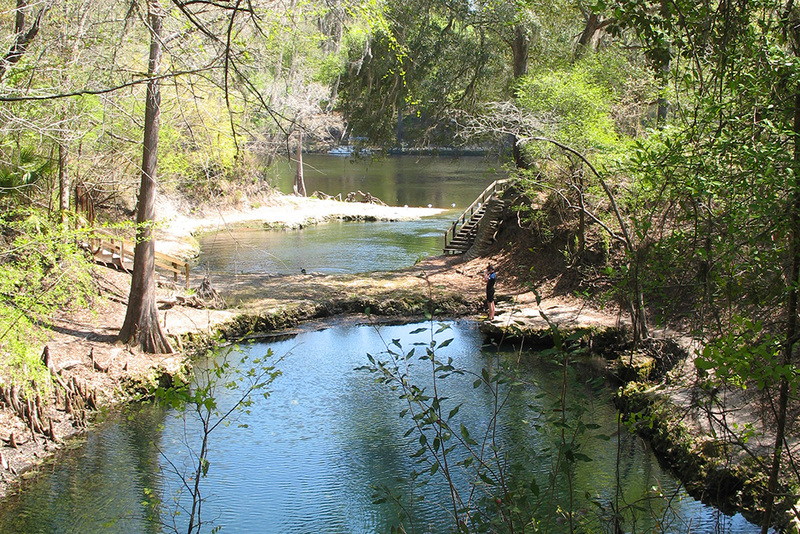 For many decades before, these springs along the Suwannee River north of Mayo were a place for locals to play, a swimming hole with a most unusual twist: a natural bridge in the swimming basin. Lafayette Blue Springs showcases the weirdness of karst, our eroded limestone bedrock that has Swiss-cheese-like channels through which our aquifers flow. 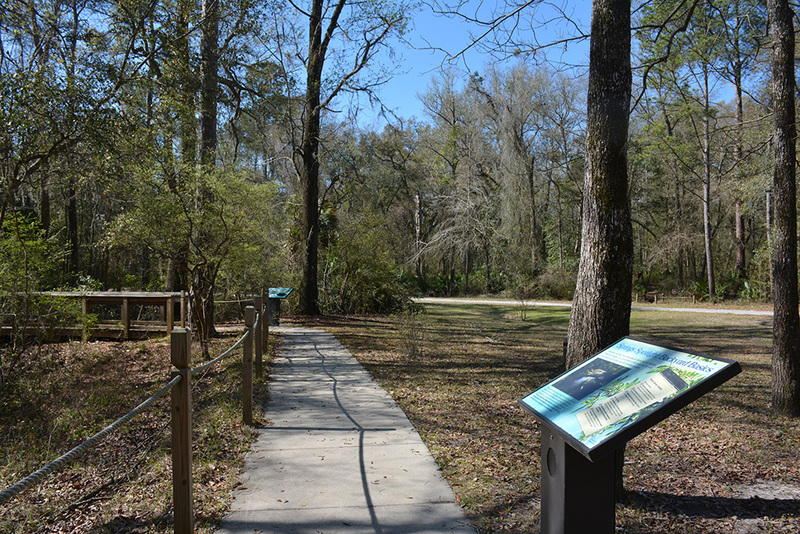 Starting at river level, you can work your way uphill along the boardwalks, past the interpretive information, to get an overview of the main swimming basin, Blue Spring. It’s closed when the Suwannee River floods, and you can’t see the natural bridge at all during those backflows. Cross the park road and you’ll find a worn path into the woods. It quickly leads to the first of a long line of sinkholes connected to the springs below. According to an extensive survey completed by a cave diving team from the National Speleological Society in 1977, this is Snake Sink. 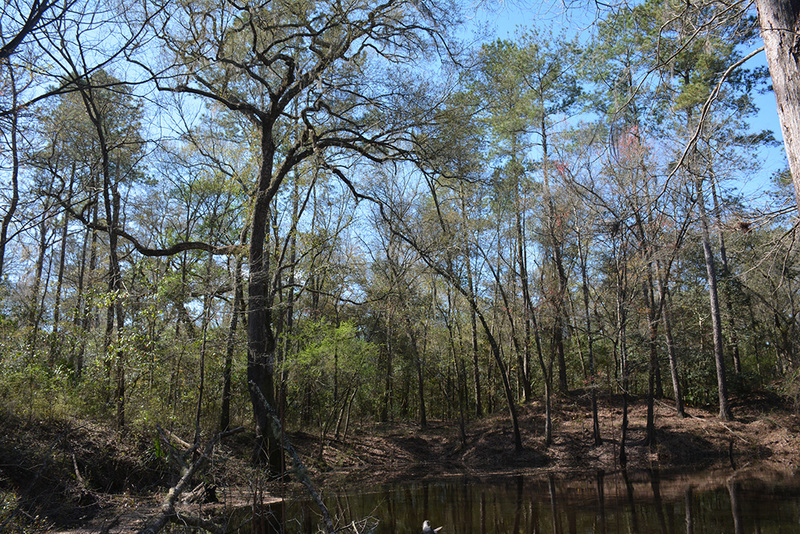 Follow the path to the right – upstream – for nice views across this sink, which sits beneath a canopy of oak trees. A narrow ridge at its far end is another natural bridge, this one separating Snake Sink from Egg Sink. The path leads to an old forest road, with another worn path leading to the edge of the next large sink, Green Sink. All of these sinks – and the springs themselves – are connected through underwater passageways. When the Suwannee River is higher than normal, these passageways back up, and the river water starts filling up the sinks. We were told the park no longer maintains the nature trail that once looped the sinks, although the beaten paths between the park road, Snake Sink, and Green Sink can still be followed. Beneath the surface, divers can follow them too. You must be cave-certified, and cannot dive alone. 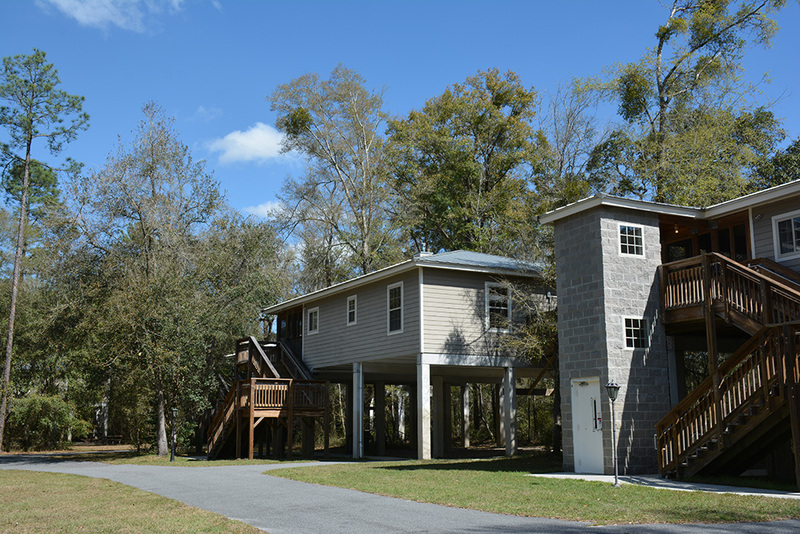 The buildings on stilts are river cabins, the most unusual ones you’ll see in the Florida State Parks system. Being on stilts keeps them above the potential of flooding, and also provides a very unique perspective for visitors who stay up there in the treetops. There is even an elevator providing access to two of the cabins. Just south of the swimming area is a tent camping campground, with spaces available first-come, first-served. 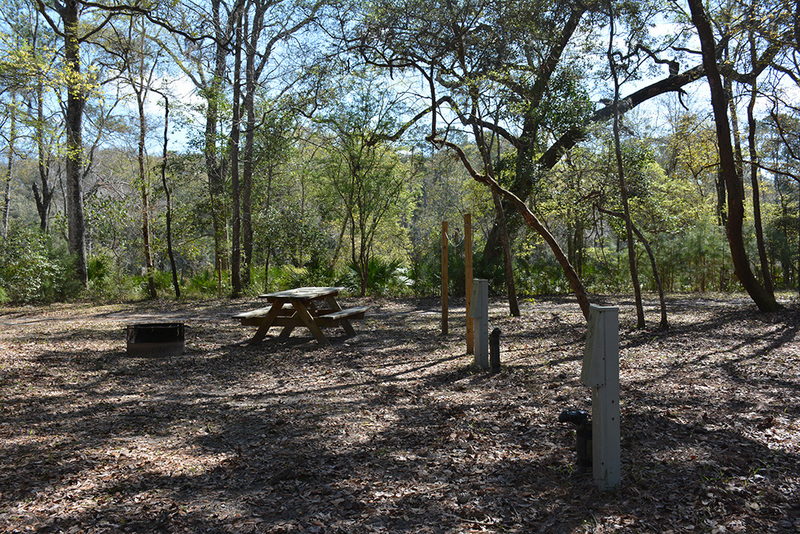 It’s one of the many campgrounds for paddlers along the Suwannee River Wilderness Trail. Although Lafayette Blue Springs State Park doesn’t seem very large, it extends a few miles north along the Suwannee River. If you follow CR 292 north from Blue Springs Road, you’ll find the north entrance. 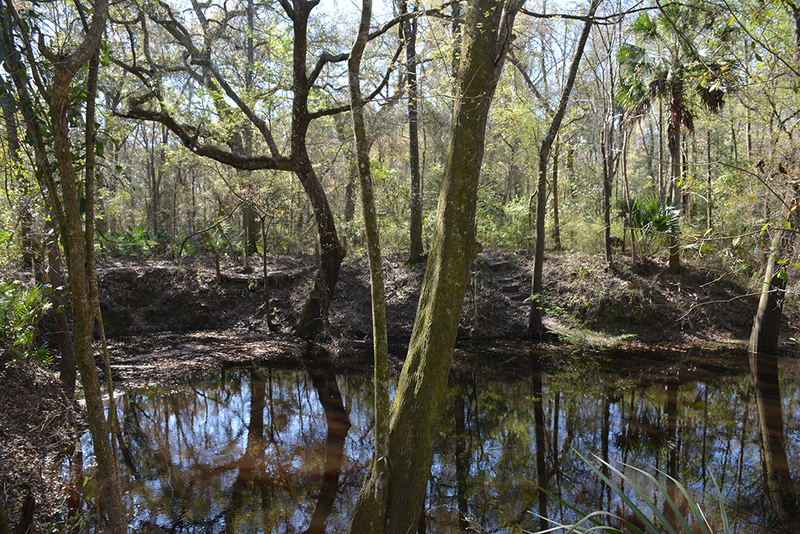 Here, equestrians – and hikers and bikers – can follow a maze of forest roads to explore the bluffs along the Suwannee River. The northernmost entrance is where CR 292 turns west. This is Allen Mill Pond, a large tract with another spring hidden deep in the woods, accessible only by unmarked trails. A rough road leads down to the spring run and a canoe launch. 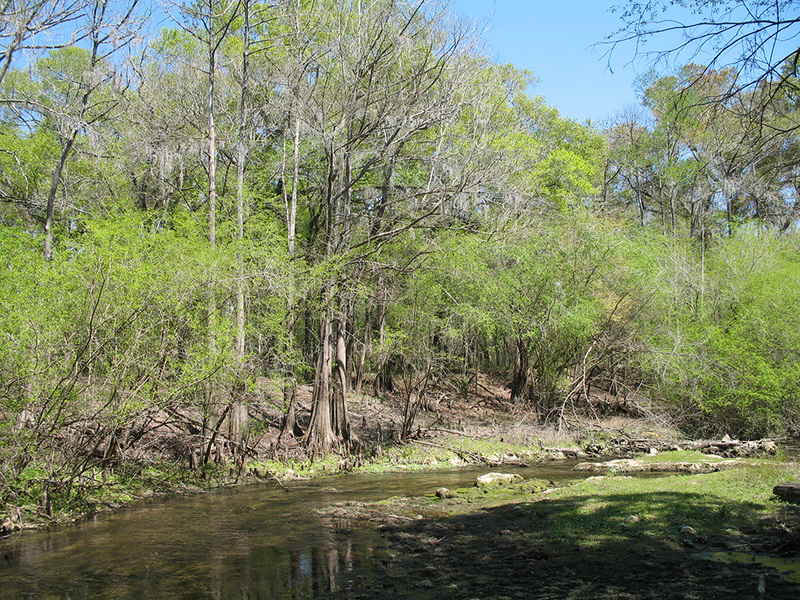 Since there are no maps to the old trails and roads, exploring Lafayette Blue Springs State Park is an adventure. Carry your GPS (mark a waypoint at your car), use bug spray, and be sure to respect any “No Trespassing” signs that you see. Several tracts make up the entire park, with private residences close to some of the park boundaries.